God, I remember seeing Talking Heads back as a three piece. Great they were, and the stand out song, which I’d wait for anxiously every time, was ‘Pulled Up’, luckily a UK 7″. Tina just had it down, the playing and the physical grasp of her bass. Just uptight enough to create genius. 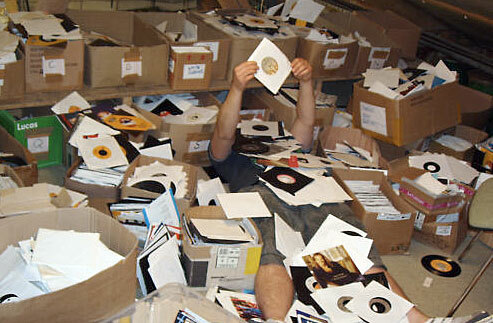 Years later, what seemed to start as a side project obviously turned into a rewarding business model. 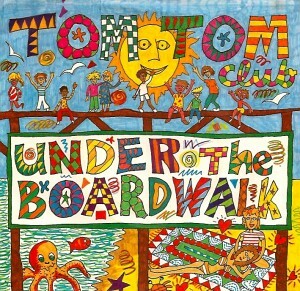 The Tom Tom Club were, still are, a true breath of freshness. ‘Wordy Rappinghood’ was so freakin’ hip, white as can be, but a perfect fit amongst the street hip hop they clearly loved. Then ‘Genius Of Love’ – I mean try topping that. Well funny enough, in my book they did. 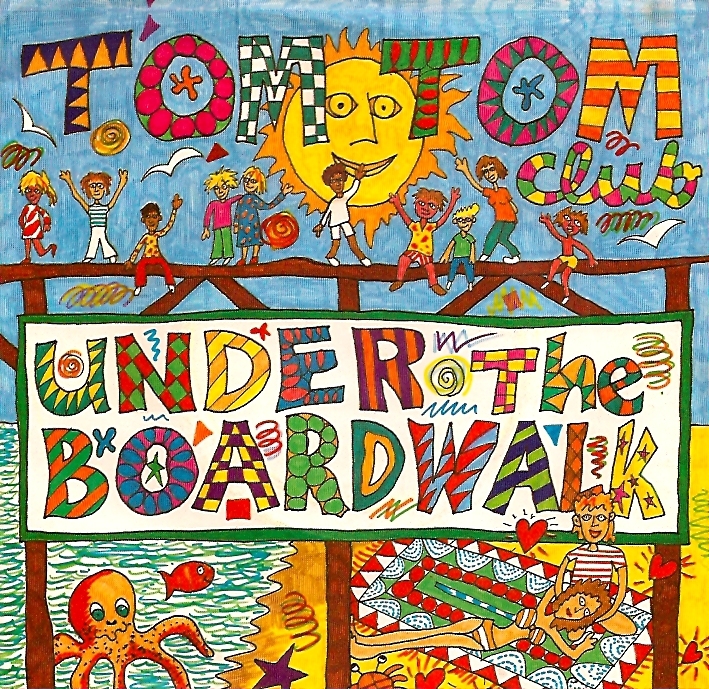 The next single, still in the James Rizzi designed picture sleeve tradition, came their rendition of this, ‘Under The Boardwalk’. Never got much attention in the day, except Roger McCall and I spun it religiously for months on our weekly radio show. 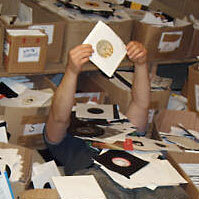 Sad to say, but forget expecting a station to give it a spin now. Proves it’s too good for just anyone. Best part is the last third. Let me know if you agree.